There are many places to begin a music career but the bathroom isn’t usually one of them. 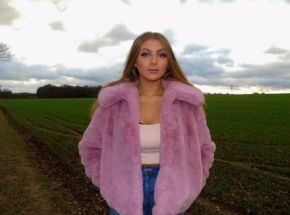 Having sung there most of her life 16 year old singer/songwriter Sophie Griffiths, after a little encouragement from her music teacher, has branched out and in two short years has gone from bathroom to Beauty, the current single from her debut EP, One Word. Beauty is the third in a series of singles from the five track EP and centres around the theme of beauty from within and despite her young age delivers the song with an old soul and a voice that gives thought to every word and feeling to every syllable, a exquisite combination for the mind and ears. The key to a really great song is often the relatability and Sophie’s fans are no different, “My following seem to really connect with the lyrics and the message behind the song,” she says. Sophie has still had a whirlwind of success after being tagged in an instagram video by Olivia Buckland of Love Island while busking in Essex and BBC radio exposure to add to her early accomplishments. There are plans for a live performance at a large London venue set for later in the year and a collaboration with a Norfolk artist is in the pipeline as well as possible summer gigs, a fantastic start to a blossoming career all of which while still continuing to study in Shoreditch, London. Away from the music scene Sophie is quite sporty and enjoys netball most weekends and time out with friends and family. No stranger to the weird, on a family trip to North Conway, US, they took a Midnight Moose tour in a psychedelic bus which Sophie describes as the “most surreal experience, ever”. A promising beginning for this young artist and one to listen out for in the future. The five track EP is set to be released at a later date and will be available on all platforms. Watch the video in our video box.